RG-15 airfoil is well proven to be one of the best airfoil design for high-efficiency glider. The objective is to provide the longest possible flight time for the EAGLE EYES to accomplish its mission. This is realised by its outstanding features of low power consumption and high stability in the air. While a huge 4 metres wingspan provided maximum payload and exceptional endurance in the air, 10 washouts at the wingtips also improved the stall characteristic of low-speed cruising. Twin vertical fin enabled the EAGLE EYES to be remarkably stable. This is very important of missions that involved photograph and video taking. The traditional gas engine has been abandoned due to its high noise level, pollution and limited endurance in the air. Instead, the highly efficient brushless DC motor with zero-emission has been employed to ensure a quiet and reliable operation with a greatly extended airborne time. High voltage 12 cells Lipo battery (44.4V) is used on board the EAGLE EYES. The reduced current drain will improve the efficiency of the batteries which in turn extended the flight time. 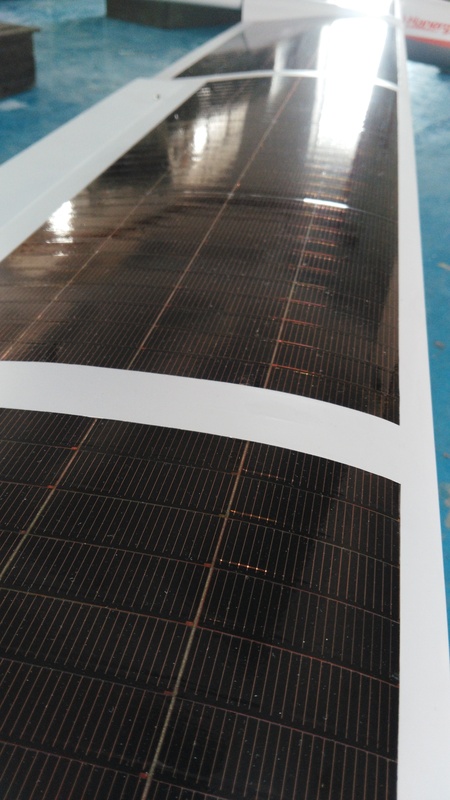 The configuration of the batteries can be changed to suit the varied requirements of different missions. 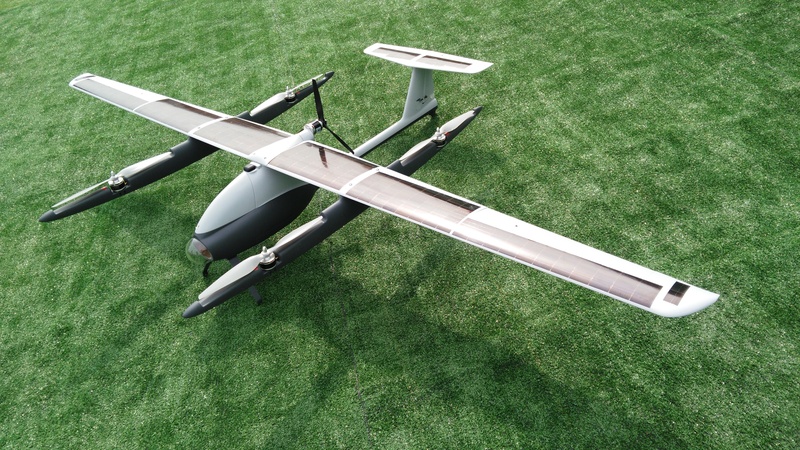 The EAGLE EYES has been designed with the aim of being compatible with advanced autopilot systems. By incorporating such a system in the EAGLE EYES, highly automated operations such as waypoint navigation, programmed circulation and aerial photography over the preset target, automatically return to the base is all possible. We are happy to provide such an autopilot system with the EAGLE EYES upon request. All components are packed within a rugged transport case. Upon arriving at the launch site, the whole plane can be put together in just about 20 minutes to enable a rapid launch for security or search and rescue missions. 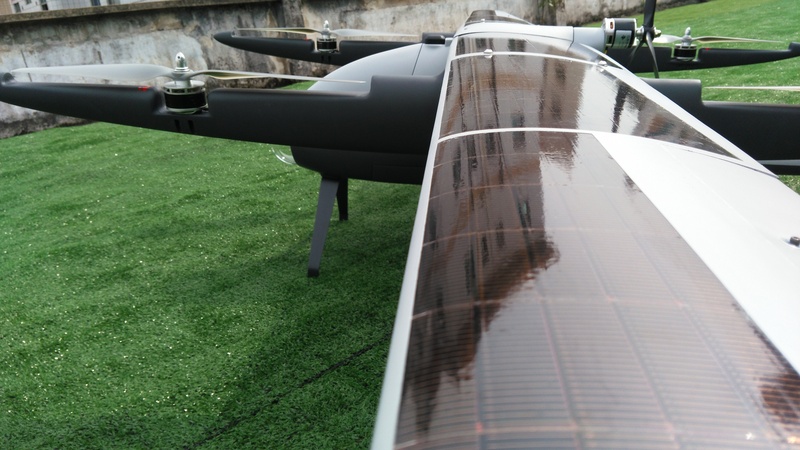 To cope with sustainable development, we tried to apply solar energy as the main energy supply in some of our UAV, which can still demonstrate a high standard performance.